For the whole gang. Get mitchy matchy for your family photoshoot, birthday party, or holiday! 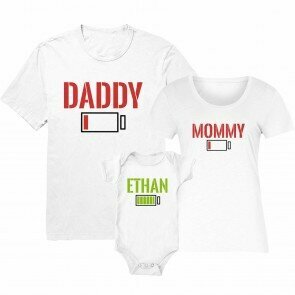 Baby bodysuits (0-18m), kids shirts (1-7Y), and adult shirts (S-3XL) available.